Choose a page number to visit the recommended websites and find downloadable pictures. How does a whale breathe? How does a snake see in the dark? Why do zebras have stripes? This fascinating book has all the answers and more. 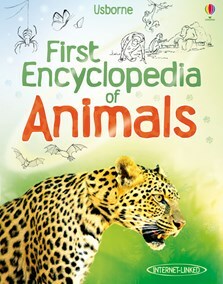 Simple, easy-to-read text, detailed illustrations and extrordinary wildlife photography introduce children to the wonders of the animal kingdom. A beauty of a book with a huge amount of information and loads of links for curious minds to follow to find out more. This is definitely a step up in content but without losing any of the Usborne joy.